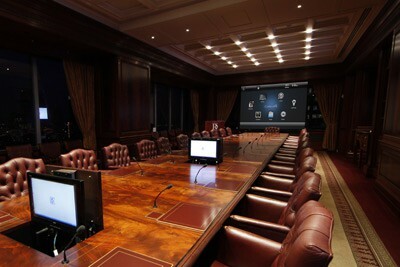 Enhance your business meeting with a state of the art conference room. We are able to seamlessly integrate the various systems of an automated conference room, from projectors to lighting to video & audio conferencing and overall control of the entire integrated system. We also take into account the time-sensitive nature of your project given your company’s daily operations and coordinate with other contractors to make a smooth process.